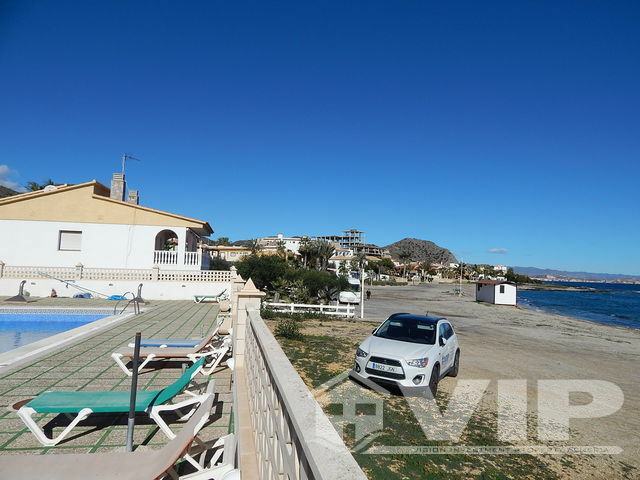 Rare opportunity to purchase on the beach front. 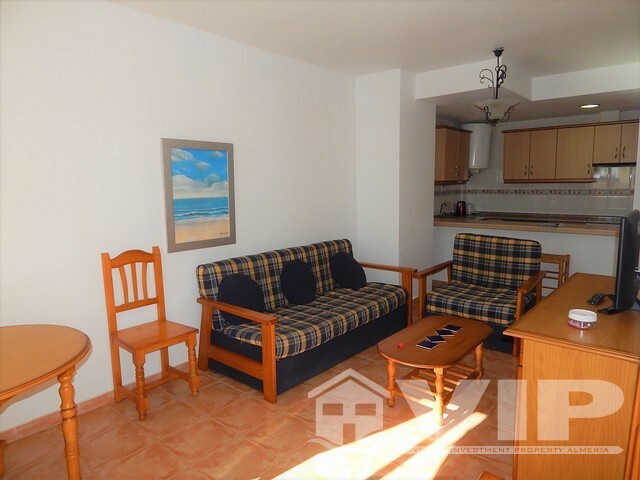 Located a mere 50 meters from the beach. 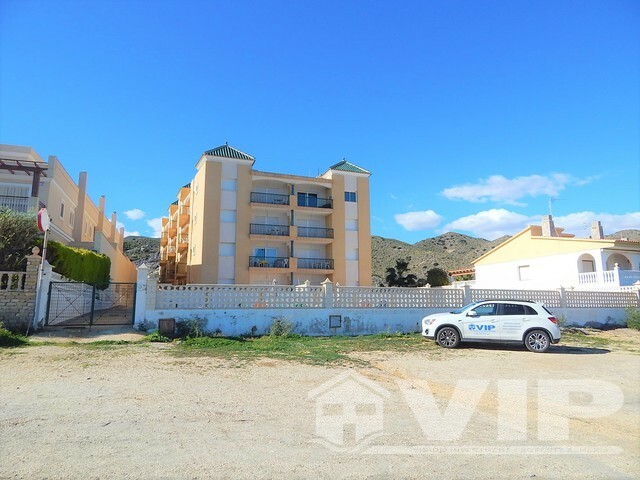 This is a top floor apartment of 65 m² is in El Calón, Cuevas del Almanzora. 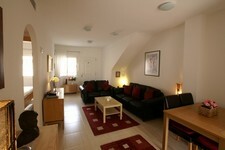 The complex was previously an apartment hotel (now freehold) therefore suitable to be a great rental unit. 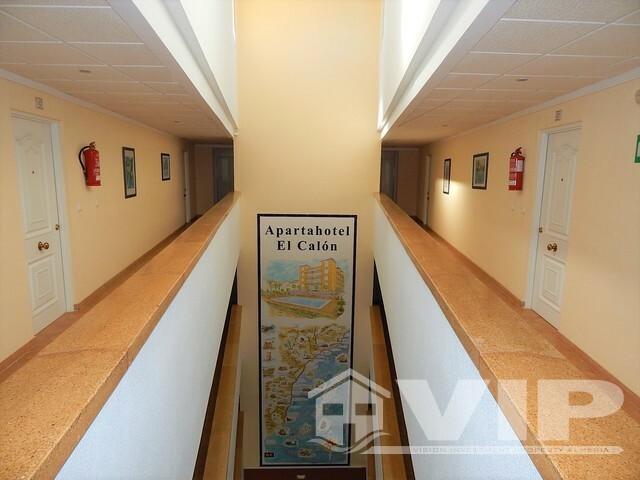 The property has limited mobility access and two elevators. 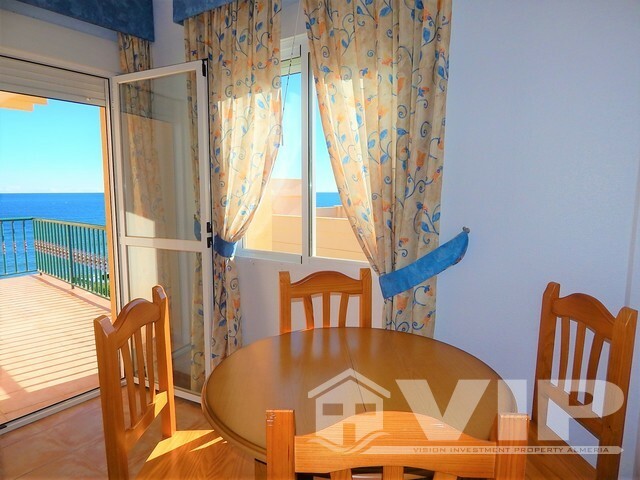 The property is very bright and cozy combined with a sunny terrace, sea views and south orientation. 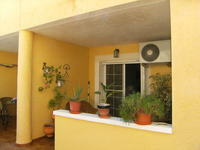 The apartment can be sold fully-furnished and very well maintained. 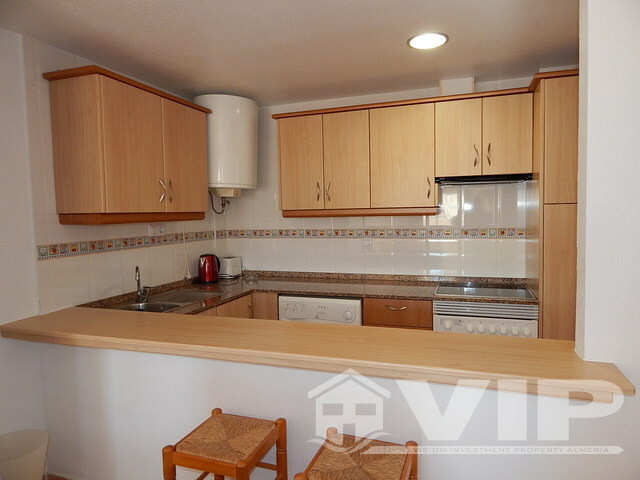 The two bedrooms are spacious and the full bathroom is a high specification. 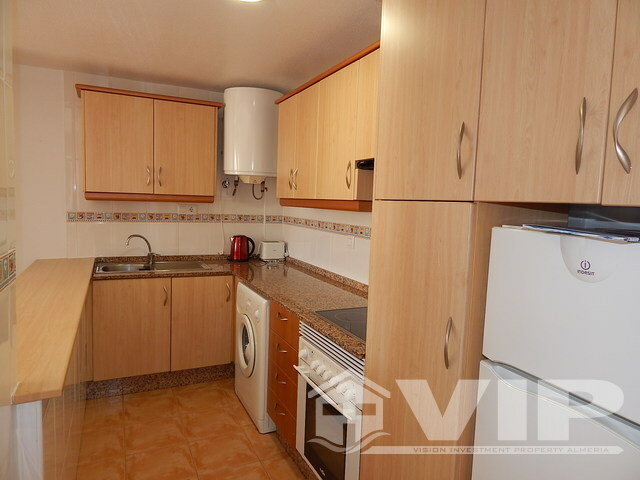 The kitchen is fully fitted and the property has central A/C. 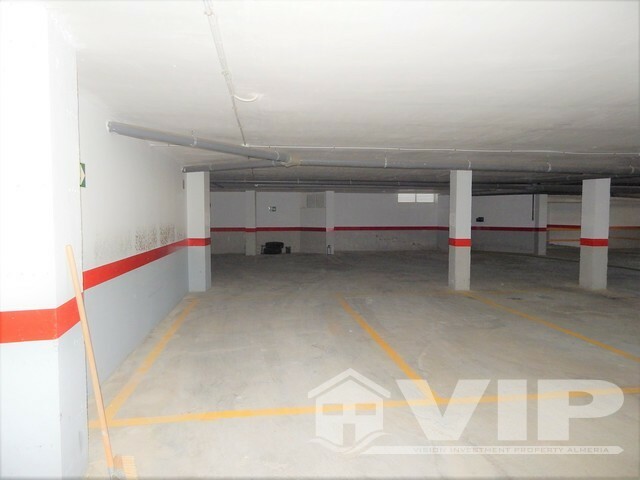 The apartment price includes a underground parking plaza and access to the floor from the parking with elevator. 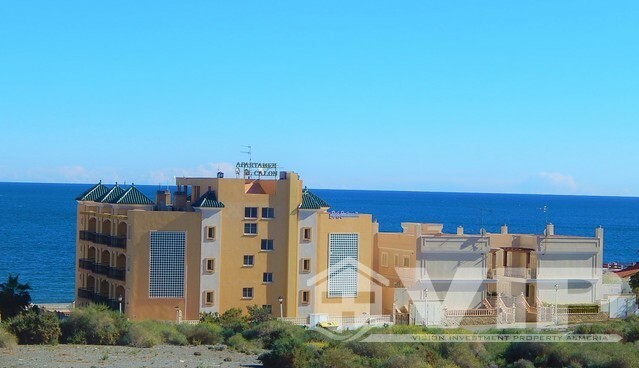 The community fee is 85 Euros a month which includes building upkeep such as the community pool next to the beach, common room for multiple uses, community WiFi connection and electricity. 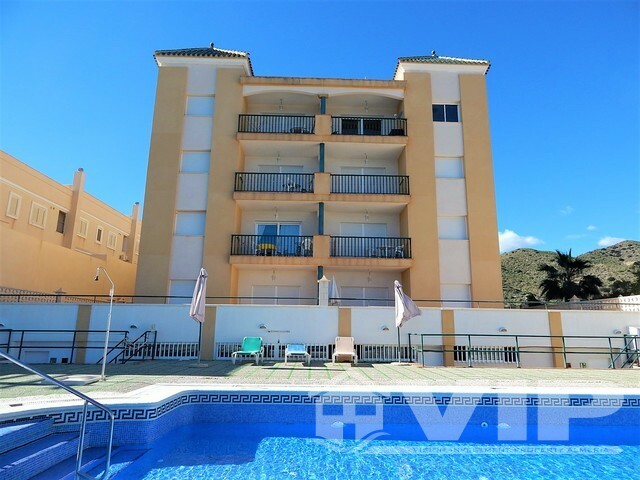 Located in the small Village of in El Calón between Villaricos and San Juan de los Terreros. It is described as a bay consisting mostly of a black sand beach with rock pools. 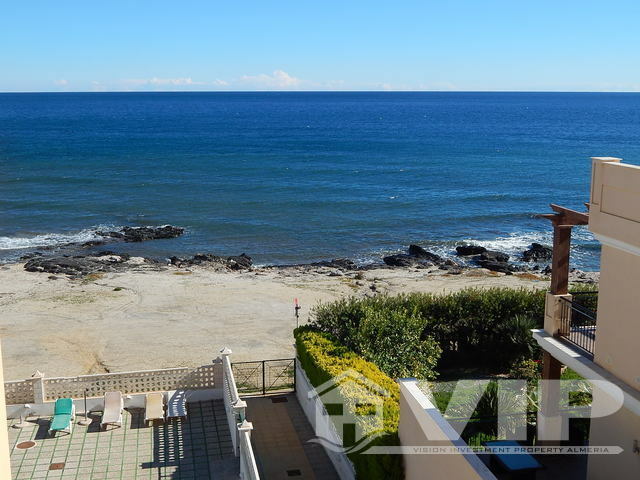 It is very intimate and private with an average width of 25 Meters based over 500 Metres of urban coastline. The area is a haven of peace and tranquility for the summer or for simply chilling out. It is very unique and many people come specifically for the diving and the underwater caves just off the shore. 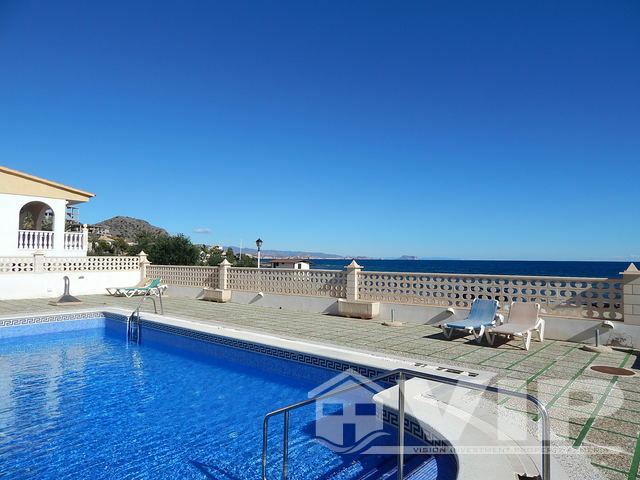 Located just 5 minutes by car from San Juan de Los Terreros and 10 minutes from Villaricos, El Calón is really an unknown gem, waiting to be discovered. Whilst a car is needed to travel to nearby villages for shopping, The chiringuito (bar) on the beach has a fantastic atmosphere and highly recommended for its paella.